"Awesome staff the manager was so nice every one is so respectful." "Awesome doctor lowered my high sugar levels." "I love Dr. Fernandez, he's thorough and has a solid understanding of my disease." "Best Endocrinologist in South Florida. Office is clean staff is friendly!" "Dr. Fernandez and his staff were amazing!" "He is caring, thorough and really addresses your concerns and issues." "He takes time with his patients, he will listen, thanks!!!" "Overall my experience has been very exceptional and I would recommend Dr. Fernandez." 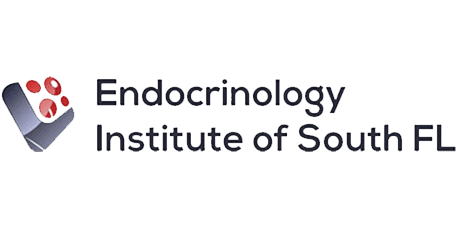 The Endocrinology Institute of South Florida specializes in the complex issues that arise from hormone imbalances. New and current patients are welcome at their offices in Bonita Springs and Fort Myers, Florida. At this flourishing medical center, you can count on getting to the cause of your symptoms and receiving customized treatment that restores hormonal balance, giving you the optimal health and energy you need to enjoy life. Their renowned thyroid and endocrinology specialist, Dr. Orlando Fernandez, is board-certified in endocrinology, diabetes, and metabolism. He uses specialized tests to evaluate your endocrine system and determine the hormone imbalance responsible for health conditions such as osteoporosis, diabetes, high cholesterol, and high blood pressure. Whether you suffer from the symptoms of thyroid problems, have adrenal insufficiency, or you feel the health issues caused by low testosterone or low estrogen, Dr. Fernandez can help. Thyroid and other hormone imbalances often influence weight problems -- such as unexplained weight loss and an inability to lose extra weight -- and you can receive treatment for them here. The team at the Endocrinology Institute of South Florida recognizes that symptoms caused by hormone problems are uncomfortable and distressing, so they try to accommodate their patients with same-day appointments. If you have questions or would like to schedule an appointment, please call one of their offices or use the online booking feature. but also Diabetes, Menopause, and Osteoporosis. Dr. Orlando Fernandez is considered an in-network provider with the following health plans. Please call our office to inquire about your insurance if you do not see it listed to verify your benefits. *Some insurances require referrals and/or authorizations to be seen by Dr. Fernandez. "I have been a patient of Dr Fernandez for several years and have found him to be very thorough. He takes the time to listen to your questions." "I have only had one appointment and I felt very comfortable, I hope that in the next ones my opinion continues feeling the same." "I am very happy with the treatment they give to patients. I'm happy to be their patient, everyone who needs an endocrine do not hesitate to contact them." "After being sick for a full year, I attended a doctor named Fernandez. He turned out to be a physician who listens to his patients and treats them accordingly." "I am over 70 years old and have seen many different doctors in my life time and I can assure you that Dr. Fernandez is someone that I will trust completely." "Dr. Fernandez and his staff are all the absolute best and will do anything and everything to help you. He's the best and won't give up!" "Dr. Fernandez is concerned with your overall health as well as your endocrine system. I hope he will remain in our area for many years." "I have been going to Dr. Fernandez for about 18 months now and think that he is the greatest!! He takes time with you, listens to any thing you say, and responds."